There were times that Singapore may be too much to handle if you plan everything on your own for short visits. I’ve never been to Singapore only for leisure and it has been all about my job back then as a banker and now as a journo/blogger. Of course, legwork is what you should expect when scouring this city but a little bit of advice here and there would be so priceless so that you can make use of your time even better. That’s why I was excited, like a lot, when the Alphard brought us back to the airport way earlier after we all finished our trip and that we can have an early dinner together among bloggers and a good friend of mine from Changi Recommends. The Staff Canteen at Terminal 2 of Changi Airport may be well-known to the locals but to actually reach here may be not for everyone. It is advisable for you to check in your heavy luggage first before heading here because you will need to climb the emergency staircase right beside the parking lot. 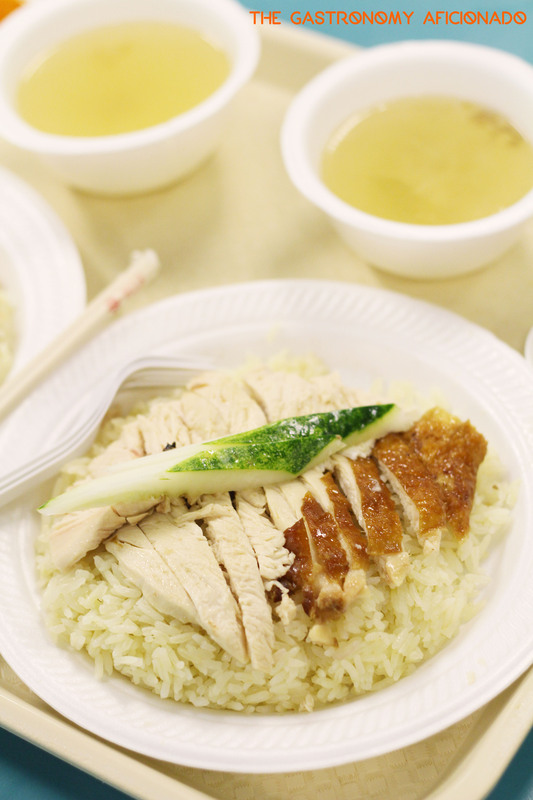 So clear your burden, empty your stomach, and prepared to be pampered with Singaporean treats. The staff canteen itself has a lot to offer but since I had been craving for months for chicken rice (which I found it a bit expensive and not fulfilling in Indonesia), to find a recommended booth that sells it was such a huge blessing. For a highly affordable SGD 3, you can have a plate full of nasi Hainam topped with big slices of chicken and a refreshing cucumber. Also you should not miss the soup and the sambal as well. In terms of taste, I find it pretty decent and I was very whimsical back then when I finally encountered chicken rice! I would vote this place for a wholesome experience of enjoying what Singaporeans are really fond of having for lunch. I was thoroughly fulfilled and the memory of having it was engraved deep inside my mind. I’d be sure to take anyone here from time to time in the future, plus to try something else from this canteen.